The Solidarity Federation, also known by the abbreviation SolFed, is a federation of class struggle anarchists active in Britain. The organisation advocates a strategy of anarcho-syndicalism as a method of abolishing capitalism and the state, and describes itself as a "revolutionary union initiative". In 1994 it adopted its current name, having previously been the Direct Action Movement since 1979, and before that the Syndicalist Workers' Federation since 1950. The Syndicalist Workers' Federation was a syndicalist group in active in post-war Britain, and one of the Solidarity Federation's earliest predecessors. It was formed in 1950 by members of the dissolved Anarchist Federation of Britain (not to be confused with the current Anarchist Federation which was founded as the Anarchist Communist Federation in 1986). Unlike the AFB, which was influenced by anarcho-syndicalist ideas but ultimately not syndicalist itself, the SWF decided to pursue a more definitely syndicalist, worker-centred strategy from the outset. The group joined the International Workers Association and during the Franco era gave particular support to the Spanish resistance and the underground CNT anarcho-syndicalist union, previously involved in the 1936 Spanish Revolution and subsequent Civil War against a right-wing military coup backed by both Nazi Germany and Fascist Italy. The SWF initially had some success, but when Tom Brown, a long-term and very active member was forced out of activity, it declined until by 1979 it had only one lone branch in Manchester. The SWF then dissolved itself into the group founded as the Direct Action Movement. Its archives are held by the International Institute of Social History, and a selection of the SWFs publication have been digitally published on libcom.org. The Direct Action Movement was formed in 1979, when the one remaining SWF branch, along with other smaller anarchist groups, decided to form a new organisation of anarcho-syndicalists in Britain. The DAM was highly involved in the Miners' Strike as well as a series of industrial disputes later in the 1980s, including the Ardbride dispute in Ardrossan, Scotland, involving a supplier to Laura Ashley, for which the DAM received international support. From 1988 in Scotland, then England and Wales, the DAM was active in opposing the Poll Tax. 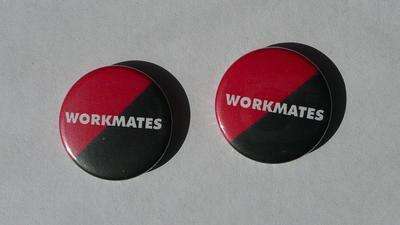 In the early 1990s, DAM members set up the Despatch Industry Workers Union, which successfully organised workers for a number of inner-city courier firms. The DAM was also involved in Anti-Fascist Action (AFA), and was committed to physically combatting British fascist and far-right groups. It often had encounters with groups such as the National Front and the British National Party. Anti-fascist activities in places such as Liverpool, Yorkshire, Bristol and Norwich were heavily influenced by local anarchists. Similarly anarchists, in particular the DAM, were the first to question the motives and tactics of the anti-fascist Searchlight magazine. In March 1994, DAM changed its name to the Solidarity Federation. Presently, the Solidarity Federation publishes the quarterly magazine Direct Action (presently on hiatus) and the newspaper Catalyst. Several locals and networks also publish their own newsletters. Along with the Anarchist Federation it is one of the two anarchist federations active in the UK at the present time. The Solidarity Federation organises according to the principles of anarchist federalism. The base unit of the federation is the Local, groups of members based within a specific geographical area. These local groups are autonomous, within the bounds laid out in the Solidarity Federation's constitution. These local groups come together as a confederation to form the national organisation. This most importantly manifests at the national conference, where each local presents a delegate to represent them. These local delegates do not act independently, but instead are guided by the mandate (formal instructions) their fellow members have given them. In this way, the Solidarity Federation is an attempt at a working grassroots democracy. This confederated national conference is the highest decision making body in the Solidarity Federation. Internationally, the Solidarity Federation forms the British section of International Workers Association, an international federation of anarcho-syndicalist unions and groups. With the IWA also following the principles of federalism, the Solidarity Federation plays a role in the IWA similar to that of a local in SolFed, as a group of members organised by geographical region. All SolFed members are automatically members of the IWA. Solidarity Federation members who work in the same employment sector have formed Industrial Networks. Their purpose is to promote solidarity amongst workers and focus on developing and implementing a direct action strategy to fight for better pay and conditions in their industry. The most active network is the Education Workers’ Network. Solidarity Federation are responsible for supplying volunteer staff to run a workplace organiser training course intended to "give people the tools and confidence to organise in their workplaces and win grievances". This training is open to non-members and focuses on how building a 'shop committee' can form a platform by which to initiate an effective anarcho-syndicalist approach to workplace issues. London Underground workers were mainly organised with the Rail, Maritime and Transport union. However third-party contractors and casual staff were typically not unionised. Andy, an RMT union rep and anarchist, sought to utilise anarcho-syndicalist tactics like mass meetings and on-the-job direct action to overcome divisions between union and non-union workers, and build resistance to the increasing privatisation and outsourcing on the London Underground, itself a tactic used to divide and rule the workforce. The experience of the collective is documented in the Workmates pamphlet, produced as part of Solidarity Federation's ongoing Theory and Practice series. The campaign initially focused specifically on Holland and Barrett, a health supplement corporation making use of placements staffed by unpaid benefits claimants. On 5 July 2012, after a sustained series of pickets at Holland and Barrett stores across the UK, the company announced via social media and its website that it was pulling out of the workfare scheme, citing negative publicity. This announcement came just days before a national 'week of action against workfare', organised jointly with Boycott Workfare, was due to begin. ↑ Encyclopedia of British and Irish Political Organizations'. United Kingdom: Pinter Publishers. 2000. ISBN 978-1855672642. ↑ Meltzer, Albert (2001). I Couldn't Paint Golden Angels. United Kingdom: AK Press. ISBN 978-1873176931. ↑ Workmates. United Kingdom: Solidarity Federation. 2011. 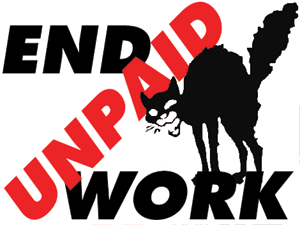 1 2 Abolish Workfare (PDF). United Kingdom: Solidarity Federation. 2012. ↑ "Statement regarding Holland & Barrett and the Government Work Experience scheme". Holland and Barrett. Retrieved 16 July 2012.